The most rumored and probably the most awaited feature of the recently announced iOS 6 is the new Maps, taking a whole new turn! 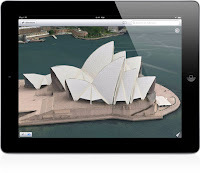 Designed by Apple from the ground up, Maps gives users turn-by-turn spoken directions, interactive 3D views, and the stunning Flyover feature. 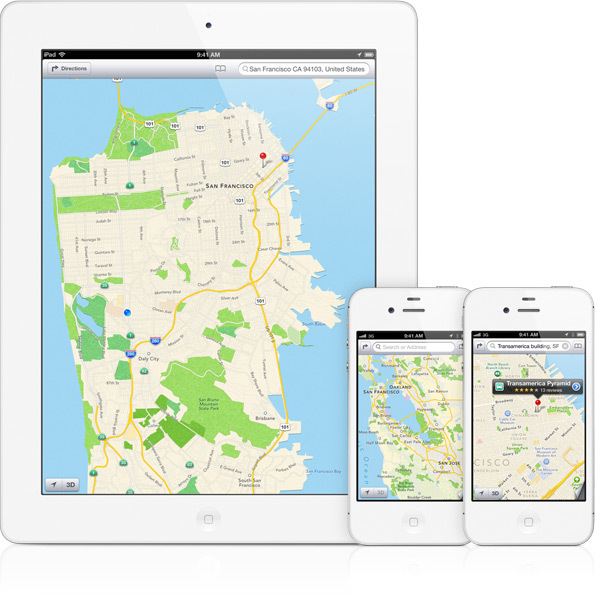 Using a vector-based engine that keeps text crisp, graphics clear, and panning and zooming smooth and responsive, Maps are completely re-imagined. 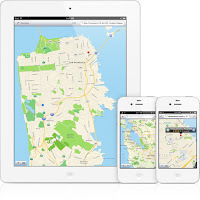 While titling and rotating to view an area, Maps keeps the names of the streets and places where they belong. So everything’s easy to read, and you won’t get lost. 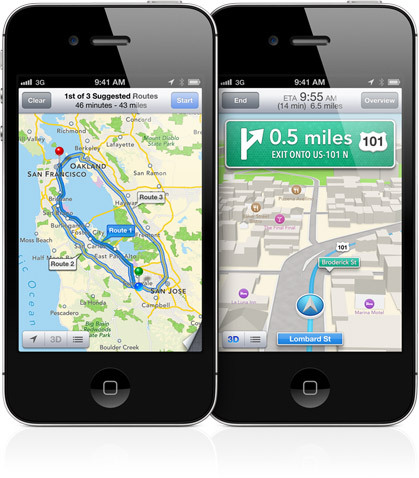 Maps feature a Turn-by-Turn Navigation, enabling users to get the way to their destination by turn-by-turn spoken directions, a 3D view, and real-time traffic information. 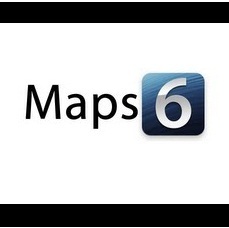 This means that when getting closer to a turn, Maps speaks directions as users keep their eyes on the road. Additionally, the screen is turned into a 3D perspective view of the road ahead with the large signs and arrows superimposed over the image, showing users which way to go and how long it’s going to take to get there – and this is even when the screen is locked! 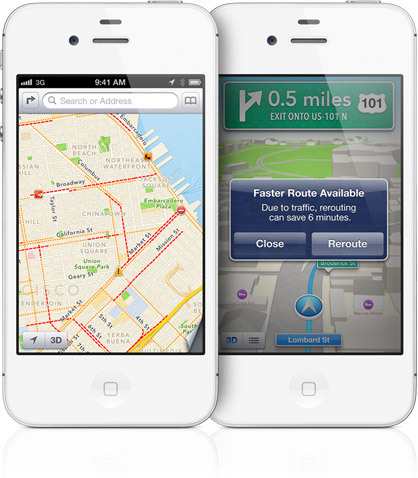 Unbelievably, when missing a turn, Maps automatically reroutes you and updates the estimated time of arrival! 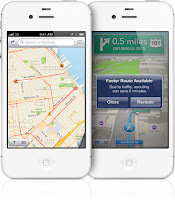 To make ETA as precise as possible, Maps gives details on what’s causing a backup via t’s real-time traffic tracking technology, even offering users alternative routes to save time in case of a major incident or just a temporary slowdown. 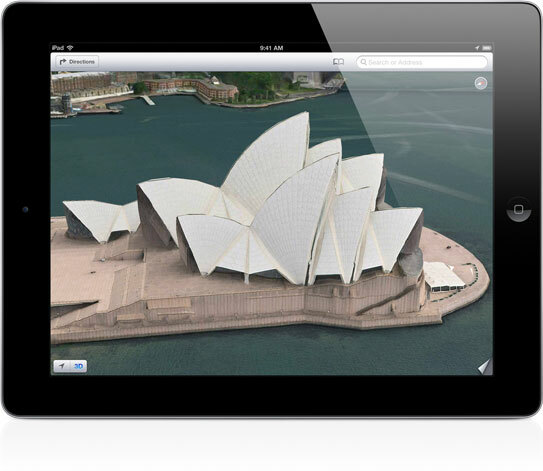 The Flyover feature of Maps allows you to see all the major metro areas from the air, with the amazing experience via photo-realistic, interactive 3D views. 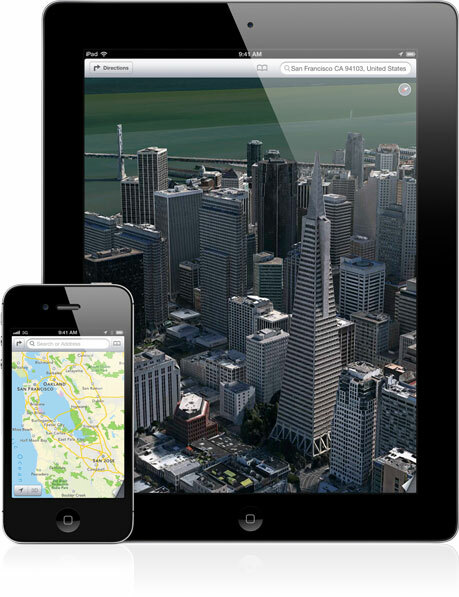 Flyover makes it possible to explore cities in high resolution as you zoom, pan, tilt, and rotate around the city and its landmarks. 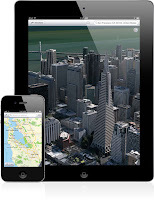 For those owning iPhone 4S and/or a new iPad (3rd generation), Siri will help you find the way, regardless where they roam. 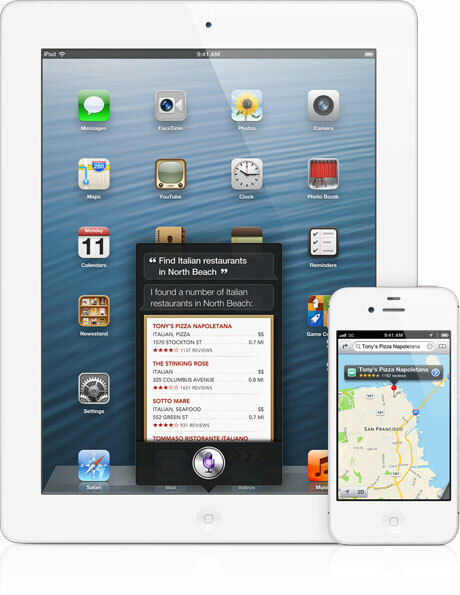 Despite guiding users along the fastest route, Siri is even capable to look for the closest hamburger joint or diner if user feels puckish on the way. However Siri may not be available in all languages or all areas, and features may vary by area, as well as cellular data charges may apply. The local search feature of Maps lets users to see a card full of useful information about the location they’ve tapped a pin at. Tapping the Quick Route button gives you turn-by-turn directions to any search result. Despite enabling users to view photos, tap to dial phone numbers, get an address, find websites, peruse Yelp ratings and reviews, this feature even find deals to save you money.